The smartest way to handle, ship, and store bales is to Cross Wrap it. Cross Wrap bale wrappers are built to last and perform. 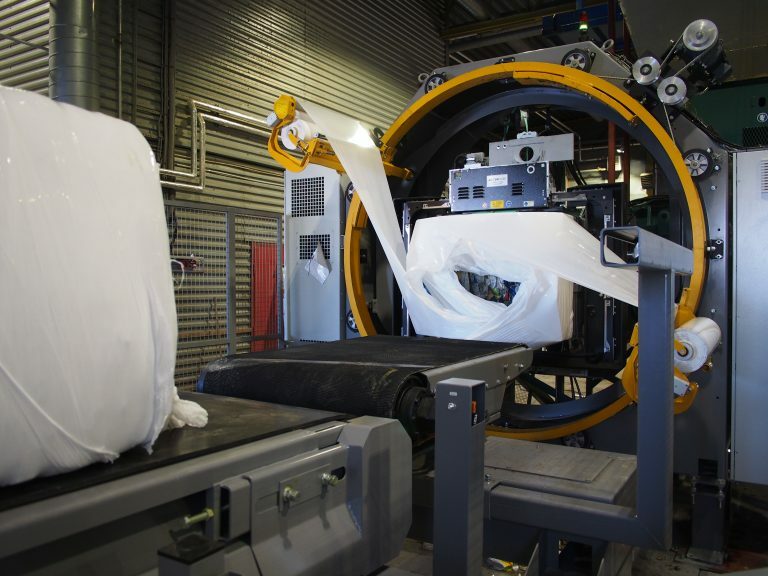 The machines are engineered based on Cross Wrap’s patented innovation, its unique “all sides covered” wrapping method. This advanced wrapping method offers our customers a number of advantages: Cross Wrap Bale Wrappers can wrap any material bales and recyclables. CW Bale Wrappers are compatible with all balers and with all bale sizes and capacities. The CW wrapping method is a proven solution even with the most demanding materials such as MSW, RDF, and SRF. Today, CW Bale Wrappers are engineered to be compatible with over 23 different baler brands globally. That’s why we say, Cross Wrap knows your baler the best. Cross Wrap provides high bale durability and smarter, more reliable handling, shipping, and storage. Cross Wrap’s unique wrapping method is relied on in more than 55 countries. Cross Wrap works with all of the baler brands. Cross Wrap has delivered hundreds of bale wrappers worldwide, wrapping a wide variety of waste and reject materials. With Cross Wrap, it’s easy to optimize film consumption, and customers can choose the wrapping solution that’s most suitable for their specific needs. Cross Wrap Direct Bale Wrappers wrap the bales without the use of bale wires, saving time and money, while simplifying the bale structure, improving efficiency, and enhancing workplace safety. Cross Wrap bale wrappers are fully automatic, saving labour costs and improving working safety. Cross Wrap bale wrappers work seamlessly with all baler brands and they offer an impressive 80-ton-per-hour capacity. Cross Wrap machines are also economical when utilized in smaller capacities. 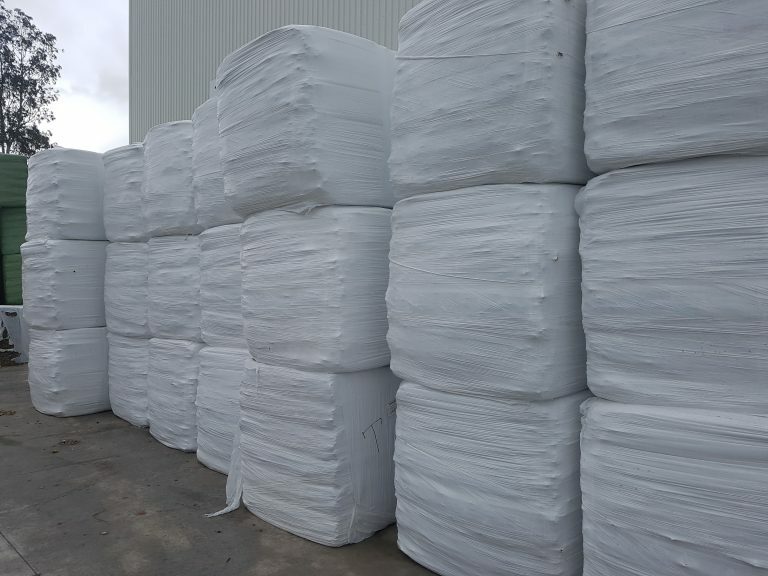 Cross Wrapped bales are an environmentally safe solution for demanding transportation and storage needs, minimizing litter and protecting the materials inside the bale. Wrapped square bales save storage space and transportation space versus loose material and round bales. Cross Wrap’s modular design system, complete with various conveyor and component options, offer a flexible, space-saving layout for everything from small operations to the most demanding production environments. 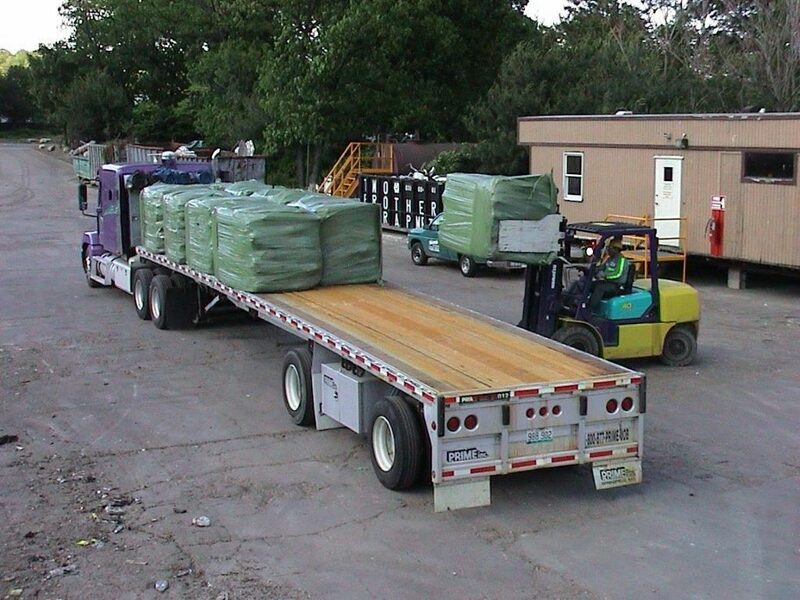 Cross Wrap Bale Wrappers offer the lowest operational cost and highest production rate in the industry. Plus they have an advanced bale conveying technique that uses belt conveyors instead of roll conveyors. This gentle bale moving method maintains bale shape and tightness the best way possible, minimizing bale breakage and litter. Cross Wrap bale wrappers can be run with both 500 mm- or 750 mm-wide film, depending on the customer’s needs. And there are additional options that increase productivity, including cleaning conveyors, opening safety fencing, weighing, automatic labelling, RFID, and remote control. All Cross Wrap bale wrappers are equipped with a 3G, LAN, WLAN modem that allows remote troubleshooting and software changes, ensuring that your bale wrapper always performs at its best. The operations director of North-East-based JBT Waste Services talks RWW through the family-owned company’s multiple-waste-stream operations and skip-hire service, and its relationship with Cross Wrap for the refuse-derived fuel side of things.